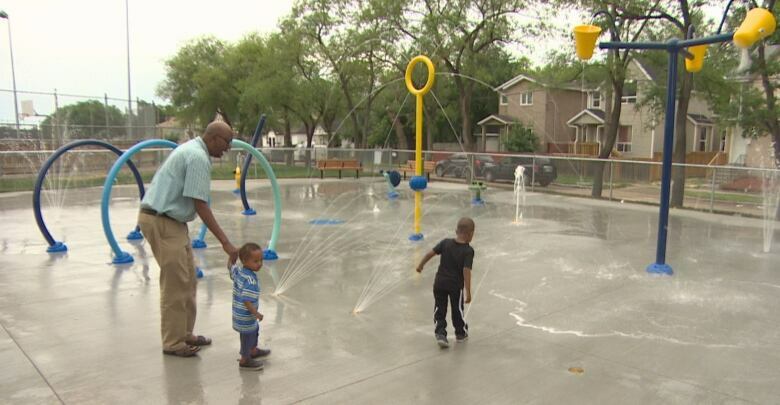 "We have to be vigilant — we have to be far away from the swimming places because we don't have that skill," the Winnipeg resident told CBC News Sunday, adding he would jump at the chance to go to swim classes for newcomers. Some immigrants "need programs to learn how to swim and how to protect their kids from swimming pools or from the lakes and rivers." 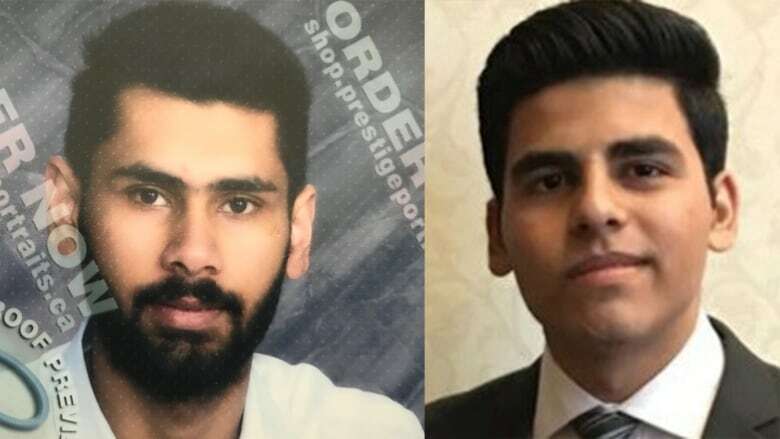 Both men immigrated to Canada within the past six years and had little experience with lakes, said Pawan Preet Brar's uncle, Darshan Kaila, who owns the Hilton Garden Inn where both men worked. "My advice is, please, all the newcomers, I know there is Google and you can look for everything — you guys are smart and well-educated — but still you need someone's advice or somebody with you guys when you are near a lake or camping," he said over the weekend. A 2016 report by the Lifesaving Society of Canada showed new Canadians age 11 to 14 are five times more likely to not know how to swim compared with their Canadian-born counterparts. In August of that year David Medina, 12, and Jhonalyn Javier, 11, drowned near Grand Beach's popular boardwalk area along Lake Winnipeg. The families of both children were recent immigrants from the Philippines. Later that same month Jean-Baptiste Ajua, 22, drowned at Birds Hill Beach. 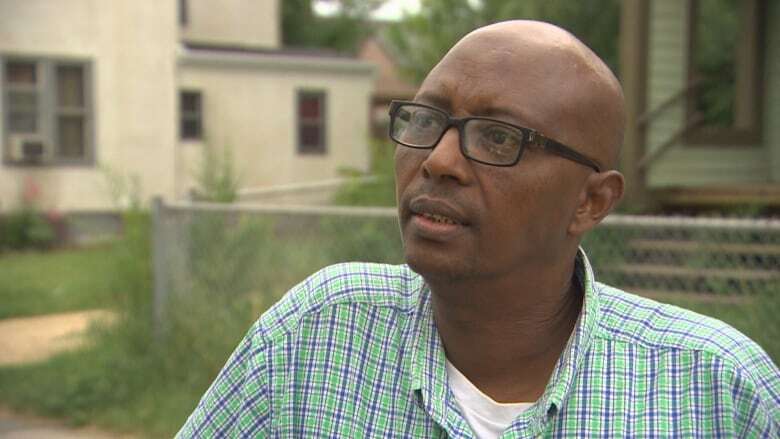 He had immigrated to Canada from Rwanda in 2009 and had become a Canadian citizen earlier in the year. The deaths led Newcomers Employment and Education Development Services (NEEDS) to start a 10-week course to help newcomers learn how to swim, which was launched in January 2017. At the time Sara Warkentin from NEEDS told CBC News for many immigrants it's not as easy as just signing up for swimming lessons. Many of the families are just getting settled, learning to speak a new language, catching up on lost school time and figuring out how systems work in Canada, she said. The program's goal, she said, is "eliminating a lot of those barriers so it doesn't have to seem like one more thing they have to deal with." In Portage la Prairie, the Portage Learning and Literacy Centre has been running newcomer swimming lessons for the last two years. Miriam Turyamwijuka, the organization's settlement co-ordinator, says she feels personally affected by these tragedies. "When I hear about these things happening, it's so heartbreaking," she said. "I know how much has gone into their coming to Canada, and they came thinking they would have a better life and then this happens." Portage is welcoming many immigrants, mainly from India and the Philippines, Turyamwijuka says, and she finds those who grew up in urban centres were never afforded the opportunity to learn to swim. "In some cultures, [women] can't swim around men, so that influences that as well, especially in the more Muslim cultures." Turyamwijuka says dozens of children and nearly 10 women have enrolled in the swimming program. Many newcomers in Portage and throughout the province don't know that swimming programs are available to them. Elmi says having the chance to take part in lessons — especially ones designed for newcomers — would be a good opportunity for him and his family. For him, part of becoming a Canadian includes being able to enjoy our lakes and rivers. 'We are living in Canada and in Canada there's a lot of lakes," he said. "It's a skill we need."